Back from a much warmer and sunnier (at least than Sheffield in February) San Francisco and the DML Badges Competition and DML Conference 2012. It’s been a real privilege to be able to attend these two events and certainly not something I’d normally have the opportunity to enjoy. The first day, as I mentioned in the previous post,was spent at CAS prepping for our pitch. There were a lot of people there, many teams having half a dozen and more members. Having just a single representative from each half was quite rare, but perhaps allowed us to make faster progress. Along with many serious and intense discussions, it also seemed that folks were having fun and enjoying each other’s company too. Less frivolity on the second day as teams readied for their pitches. We were one the first tranche and our pitch seemed to go OK – just one tricky question from one particular member of the panel of three judges. Didn’t recognise him at the time – one Mark Surman? Well I don’t suppose he knew me either. A real shame about the pitches was that we didn’t get the chance to see each other’s presentations and enjoy hearing interesting and knowledgeable people talking about their passions. But given the complexity of the whole process and in the interests of fairness, I guess that wasn’t really a possibility. This partnership will allow Moodle to extend their current work, enabling badges and permit Mahara to add badges to their Gradebook resulting in a deeply representative electronic portfolio. Given the importance and pervasiveness of Moodle and Mahara, funding the development of this infrastructure was crucial for Badges and in fact two other technical solutions were also funded – one for WordPress and one for the Peer-2-Peer University. Since our ICT Quests are delivered through Moodle, we’ll still enjoy the benefits from this development. 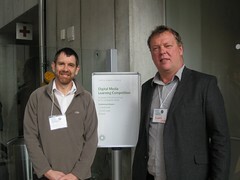 And what of the DML Conference? Despite only being able to attend on the first day before I had to return home, I was able to enjoy listening to words of great wisdom from John Seeley-Brown, take part in two seminar/panel discussions (“Women and Girls Engaging with Technology” and “Are Badges the Answer? Perspectives on Motivation for Lifelong Learning”) and be inspired and entertained by the Ignite Talk speakers in the evening. Oh and did I mention it was all in San Francisco? Posted by IaninSheffield in Inspiration, Musings, Web 2.0. Learning today happens everywhere, not just in the classroom. But it’s often difficult to get recognition for skills and achievements that happen outside of school. 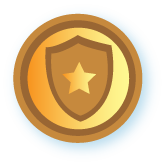 Mozilla’s Open Badges project is working to solve that problem, making it easy for anyone to issue, earn and display badges across the web — through a shared infrastructure that’s free and open to all. The result: helping learners everywhere display 21st century skills, unlock career and educational opportunities, and level up in their life and work. The project we’ve recently been working on in school (ICT Quests) seemed to be being constructed in a way which could benefit from the principles of Open Badges. So when the DML Badges for Lifelong Learning competition was announced, the possibility of offering an entry seemed to make sense. Well I’m not quite sure how, but we seem to have dropped lucky. Our submission not only got through the first round of selection, but we’ve been invited to the finals! They’re taking place in San Francisco next Tuesday & Wednesday, with the overall winners to be announced on the first day of the DML Conference. Our entry was in the ‘Learning & Content’ stage with the ‘Design & Tech’ stage being undertaken by different groups to follow. For the finals we’ve been partnered with an open source development team from Catalyst IT, led by Richard Wyles (Project Lead for Mahara) in New Zealand. Their entry was “Moodle as Issuer, Mahara as Displayer” and clearly links with our ICT Quests through Moodle, our VLE – good matching by the competition organisers. So now it’s all hands on deck to prepare our pitch for the judges. It’s not a massively big ask, but clearly competing against other teams adds a certain … edge! Bearing in mind we only have a maximum of 10 minutes to cover what our project can offer to the Open Badges movement, ensuring that the criteria for the content and tech strands are both covered and that they marry together to deliver a coherent whole. Condensing all that into a meaningful pitch is proving to be quite demanding. Given that projects can attract up to $200 000 of funding, it’s taking quite a bit of thought what to include and leave out … let alone the style! A bit like condensing Hamlet into a single Tweet. 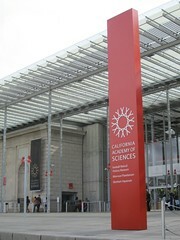 So next Tuesday after the orientation and information dissemination session at the California Academy of Sciences, Richard and I will be knocking our pitch into shape, distilling and refining the content and finalising our budget ready for the judges on the following day. Excitement and fear often do hold hands don’t they? Posted by IaninSheffield in CPD, Inspiration, Musings, Teaching Idea, Tools. is designed to encourage individuals and organizations to create digital tools that support, identify, recognize, measure, and account for new skills, competencies, knowledge, and achievements for 21st century learners wherever and whenever learning takes place. The first two stages involve people/organisations working in separate strands, one the ‘Content and Programs’ focused largely on the pedagogical aspects and the second ‘Design and Tech’ addressing the technical elements of delivering a badge-based credit and achievement system. In the third stage, entrants from the first two strands will be ‘married’ based on their submissions and will then work together towards a final deliverable project proposal. Assembling an entry for the Stage 1 strand simply meant arranging my planning for our self-study ICT extension activities into a format suitable as a submission. That some of our students will learn a little more about how ICT can help them in their learning through school and later in life. That students begin to take more responsibility for choosing learning paths. That we are able to develop a system which celebrates their achievements by revealing it to a wider audience. That our system can be further developed by partners with greater experience and skill in the technical aspects of badge creation, management and awarding. That what we produce might be of interest to other organisations, educational or not, who might benefit from those resources. That our library of Quests swells because other individuals/organisations contribute their ideas and inspiration. That some of the Quest participants feel sufficiently enriched to become contributors to the ongoing project. The deadline isn’t until 14th October, so if you have any comments or suggestions, I’d be delighted to hear.